GenreOnline.net: THE LAST DRAGON - The Cult Classic Celebrates Its 30th Anniversary with a Fully Remastered Blu-ray Arriving August 25. THE LAST DRAGON - The Cult Classic Celebrates Its 30th Anniversary with a Fully Remastered Blu-ray Arriving August 25. 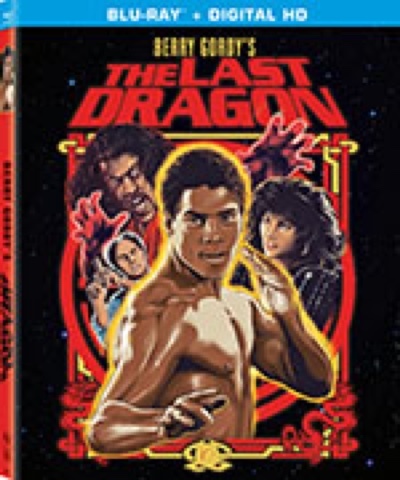 CULVER CITY, Calif. (June 15, 2015) – BERRY GORDY'S THE LAST DRAGON celebrates its 30th Anniversary by debuting for the first time on Blu-ray August 25 from Sony Pictures Home Entertainment. The cult classic has been fully remastered in high definition for Blu-ray and features exciting all-new dynamic packaging art by acclaimed Mondo Gallery artist Gary Pullin, as well as the featurette "Return of the Dragon," a newly-created retrospective look at the making of the film, featuring new interviews with the cast and crew, including Taimak, Berry Gordy and more! Additional bonus features include commentary by director Michael Schultz and the original theatrical trailer. The martial arts musical extravaganza follows Leroy Green (A.K.A. "Bruce Leroy"), who dreams of becoming a great martial artist like his idol Bruce Lee, as he searches for the "master" to obtain the final level of martial arts mastery known as "the glow." Along the way, he must fight an evil martial arts expert and rescue a beautiful singer from an obsessed music promoter. BERRY GORDY'S THE LAST DRAGON stars Taimak (Book of Swords) as "Bruce Leroy," former "Vanity 6" frontwoman Vanity (Action Jackson) as the singer, Christopher Murney (Barton Fink) and Julius Carry (The New Guy). Celebrate thirty years of BERRY GORDY'S THE LAST DRAGON, now fully remastered in high definition on Blu-ray. Martial arts student Leroy Green (Taimak) is on a quest to obtain the elusive all-powerful force known as "The Glow." Along the way he must battle the evil, self-proclaimed Shogun of Harlem – a kung fu warrior also known as Sho'nuff (Julius J. Carry III) - and rescue a beautiful singer (Prince protégée, Vanity) from an obsessed record promoter. Combining pulsating music, cutting edge dancing and the best in non-stop action, BERRY GORDY'S THE LASTDRAGON is kickin' good fun featuring an amazing Motown soundtrack, including music by Stevie Wonder, The Temptations, Vanity and DeBarge performing their smash hit "Rhythm of the Night." Directed by Michael Schultz (Car Wash) from a screenplay by Louis Venosta (Bird on a Wire), BERRY GORDY'S THE LAST DRAGON was produced by Rupert Hitzig (Jaws 3D) and executive produced by Berry Gordy (Lady Sings the Blues, Mahogany, The Wiz). The film has a run time of approximately 109 minutes and is rated PG-13.